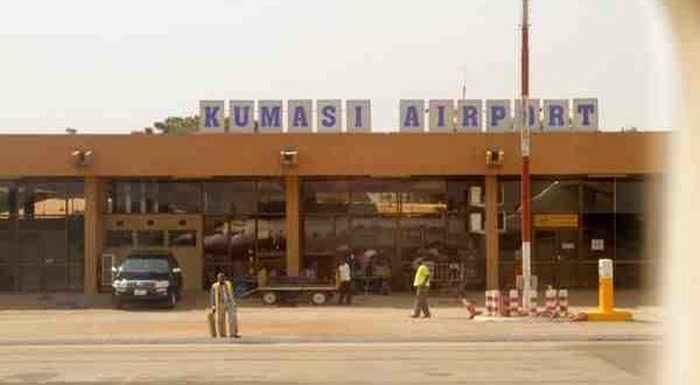 Kumasi Airport has been shut down by the Ghana Airport Company to facilitate upgrade of the airport tarmac and other facilities. The close down of the airport comes without due notification, that has led the domestic airline operators angry with the Airport Company. According to the spokesperson of the domestic airline operators, also the CEO of Starbow airlines, James Eric Antwi, the upgrade of the airport begun on Friday the 17 of October and is conducting its operational between 9:30am and 10:30am which has articulated strong suspicions about the conduct of the Ghana Airport Company. However, the passengers who got stuck at the Kumasi Airport expressed their frustrations claiming that it was a very bad experience for them and they could not make it to their destinations due to the on-going works on the tarmac. Three of the local airline companies; African World Airline, Starbow and Antrak Air have lamented over financial losses in revenue due to the current closure, and they would probably petition the Transport Ministry over the issue. The facility was set for upgrade construction works into an international standard airport due to expressed lack of space at the current facility. Would offset pressure at Terminal 2, to allow rehabilitation of the latter too. The country is also undertaking an upgrade of Tamale airport from July this year.